The musical about her turbulent life has already been a smash hit in the UK. 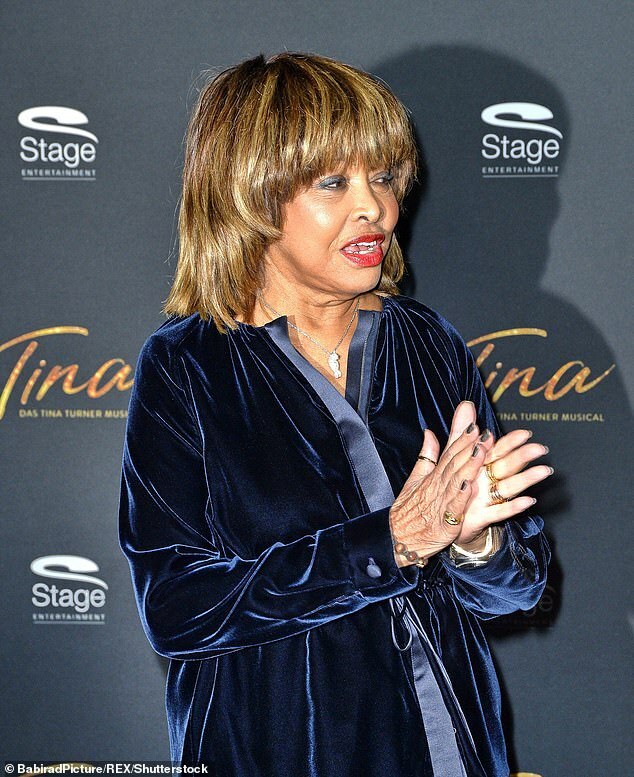 And now Tina Turner hopes to replicate that success when her autobiographical show Tina – The Tina Turner Musical opens in Germany. 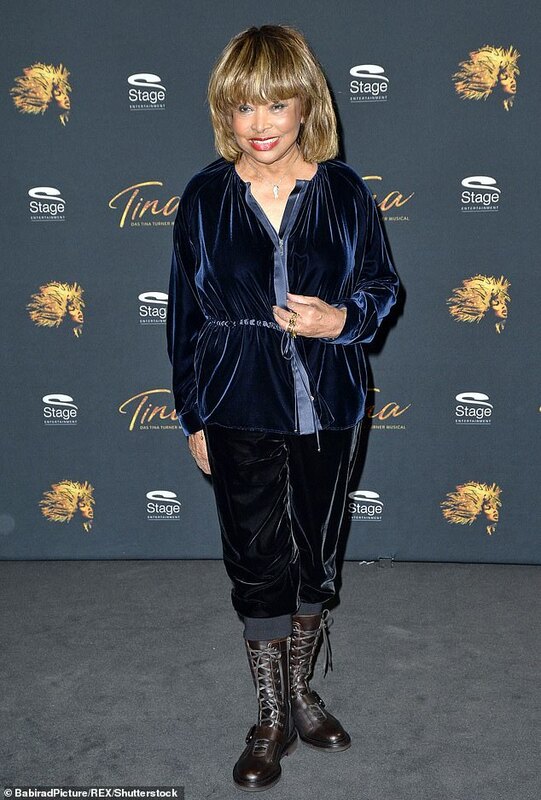 The 78-year-old dazzled in a blue, crushed velvet blouse and pants at a photo shoot for the show’s premiere in Hamburg on Tuesday. Turner’s wore her shoulder-length blonde tresses with bangs and appeared youthful with a full face of makeup. The Tennessee-born songstress was joined on the red carpet by Kristina Love, who plays the musical icon on stage. The musical debuted in London’s Aldwych Theater for previews on March 21, with the official opening on April 17, with the show extending its bookings to February 16, 2019. ‘On behalf of everyone involved with our production, I am delighted that following our thrilling opening here in the West End we are now in the process of planning two further productions worldwide,’ said Tai Pelman, Producer and Group Creative Managing Director at Stage Entertainment. ‘We created our musical in London, a city which has always been very special to Tina, and we are excited to be starting our next chapter,’ Pelman added. 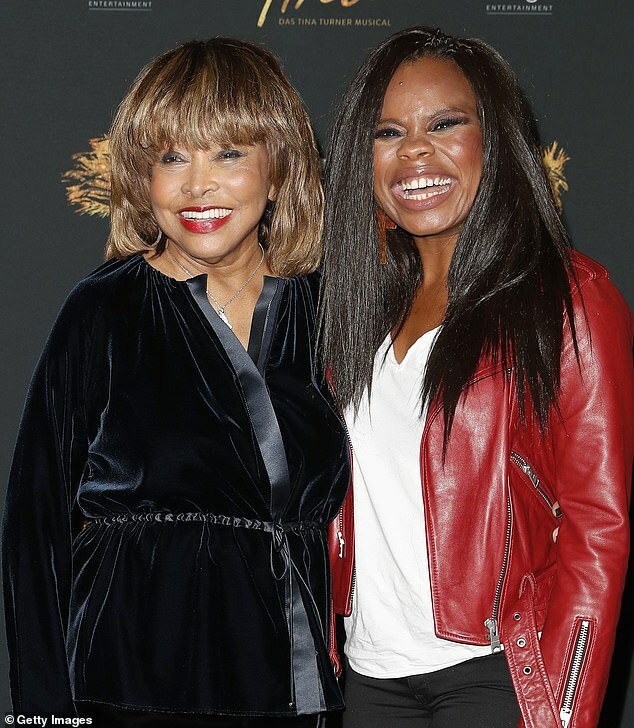 Tina – The Tina Turner Musical is a ‘jukebox’ musical, using Turner’s own songs, like long-running musical favorites such as Jersey Boys, Beautiful: The Carole King Musical and The Cher Show which opens in December. Thanks Ben and Anja for sharing! Wish I could have been there today! 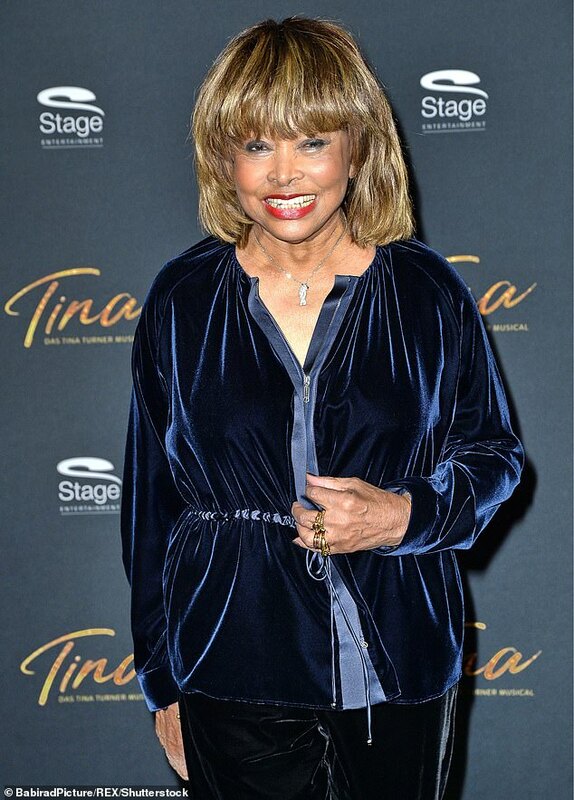 Many thanks Ben – such great article and how thankful I am that you were there so very close to Tina on this special day. You always do such a wonderful job of sharing and I appreciate you so much! Thanks Ben for all the efforts you make ! Love you so much Tina Turner your my idol and always will be.your the BEST! She’s gorgeous. Love the combat styled boot. I guess with vertigo it’s best to avoid heels. I am so very happy for Tina. You are an overcomer.